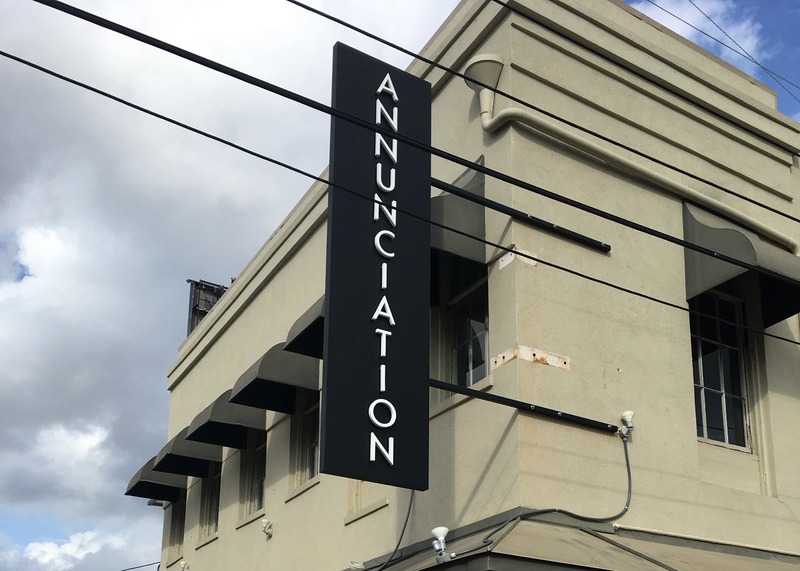 If you are looking for some authentic Southern, Cajun or Creole cuisine, check out Annunciation Restaurant, located in the Warehouse District in a renovated warehouse at 1016 Annunciation St., New Orleans, LA 70130. Specialties include a variety of creative seafood, beef and veal dishes, such as fried oysters with spinach and brie, Veal Annunciation with pasta and Alfredo and many other scrumptious dishes. There is an extensive wine selection and cocktails to complement the cuisine. The private upstairs dining room can be reserved for special events and can accommodate up to 200 people. You may make reservations by calling 504-568-0245 or through Open Table at the following link: https://www.opentable.com/annunciation-reservations-new-orleans?restref=95878. For additional information or to see the menu, please visit the website at http://annunciationrestaurant.com/home/2598163.